I was riding my Harley Davidson motorcycle when I was rear-ended by an 18-year-old kid on a "crotch rocket" motorcycle. I called Buckfire & Buckfire and spoke with attorney Bob Lantzy. I was impressed by Bob’s knowledge concerning my type of case and the fact that when I spoke to Bob it was like speaking to a "real person." 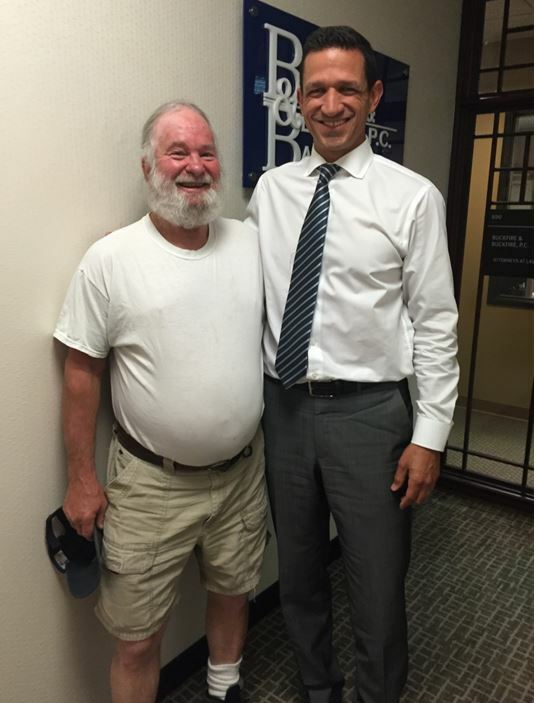 Bob assured me at the outset that my case would not be transferred to any other attorney and that when I called, I would speak with him, rather than a paralegal or clerk. Bob was true to his word. I had his cell phone number and could reach him at any time to discuss my case and any questions I had. The settlement I received exceeded my expectations. Bob obtained a policy limits settlement for me. I could not be happier with how this case was handled by Bob and the law firm of Buckfire & Buckfire. I would not hesitate to recommend Buckfire & Buckfire to friends and family. A heartfelt thank you to Buckfire & Buckfire and Bob Lantzy.